A record 130 Pro Football Hall of Famers will be returning to Canton, Ohio, for this year’s induction festivities from Aug. 4-7, when former Packers QB Brett Favre will join them in donning a gold jacket. The Pro Football Hall of Fame posted the entire list of returning Hall members here. Several former Packers inductees are planning to be in attendance, including Willie Davis (inducted in 1981), Forrest Gregg (1977), Paul Hornung (1986), James Lofton (2003), Dave Robinson (2013), Jim Taylor (1976) and Ron Wolf (pictured, 2015). Favre is the 24th individual from the Green Bay Packers to be selected for induction into the Hall of Fame, a total second only to the Chicago Bears (27). Two other players who briefly played in Green Bay, Ted Hendricks and Jan Stenerud, are also scheduled to attend. Following Favre’s induction on Aug. 6, the Packers will play the Colts in the Hall of Fame Game in Aug. 7 to open the preseason. GREEN BAY — Former Packers outside linebackers coach Kevin Greene has chosen current Packers defensive coordinator Dom Capers to present him for his Pro Football Hall of Fame induction this August. Capers was Greene’s defensive coordinator during Greene’s first two seasons with the Pittsburgh Steelers in 1993-94. Capers was then his head coach with the Carolina Panthers in 1996 and again in 1998, and the two coached together in Green Bay for five seasons (2009-13). Conveniently, Capers will already be in Canton, Ohio, on induction weekend because the Packers will be playing in the Hall of Fame Game to kick off the 2016 preseason. Former Packers QB Brett Favre will also be inducted then, but he has not yet publicly named a presenter. GREEN BAY — Former Packers QB Brett Favre was officially named as one of 108 nominees for the Pro Football Hall of Fame’s Class of 2016 this week. Retired for five years, this is the first year Favre is eligible for induction. Other individuals with strong Green Bay ties on the nominee list are WR Sterling Sharpe, S LeRoy Butler, S Darren Sharper and former head coach Mike Holmgren. 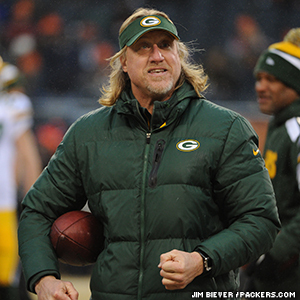 Former Packers LB coach Kevin Greene, who has been a finalist in the past, remains on the nominee list as well. 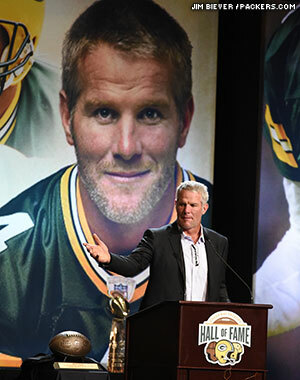 Favre was inducted into the Packers Hall of Fame this past summer and had his No. 4 jersey retired. His name and number will be added to the Lambeau Field facade with the franchise’s other retired numbers on Thanksgiving night. Along with Favre, the biggest names league-wide who are being nominated for Canton for the first time are WR Terrell Owens and G Alan Faneca. The list of nominees will be reduced to 25 semifinalists in November and then to 15 finalists in January. John “Red” Cochran, a former Packers assistant coach and longtime scout, will be inducted posthumously into the Alabama Sports Hall of Fame on Saturday. A native of Fairfield, Ala., Cochran was the Packers’ offensive backfield coach for two different stints — during the Vince Lombardi era from 1959-66 and then again from 1971-74. After retiring from coaching, Cochran became a full-time scout for the Packers until 1987 and then continued in that capacity part-time until his death in 2004 at age 82. Cochran was inducted into the Packers Hall of Fame in 1997. Former Packers outside linebackers coach Kevin Greene was not among the finalists selected for induction into the Pro Football Hall of Fame on Saturday. Greene was one of 15 modern-era finalists for a third straight year but once again was not chosen for induction. The Hall of Fame selection committee selected seven players for induction in the summer of 2014: LB Derrick Brooks, P Ray Guy, DE Claude Humphreys, T Walter Jones, WR Andre Reed, DE Michael Strahan, and DB Aeneas Williams. Greene ranks third on the all-time sacks list. 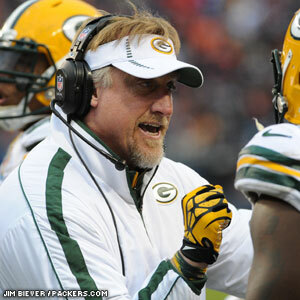 He coached the Packers’ outside linebackers from 2009-13, resigning after this past season. Packers OLB coach Kevin Greene has reached the finalist stage for Pro Football Hall of Fame induction for the third straight year. 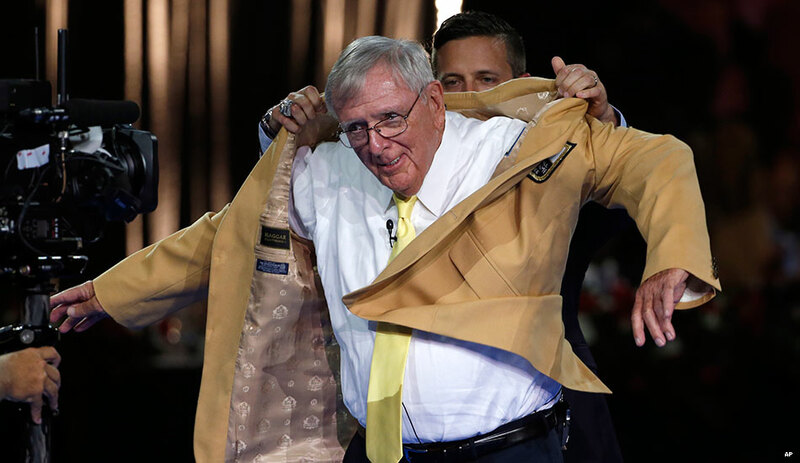 Greene is one of 15 modern-era finalists from which no more than five players can be chosen for inducted when the Hall of Fame selection committee meets on Feb. 1, the day before the Super Bowl. There are also two senior nominees who may or may not be added to the group of modern-era inductees chosen. Greene reached the semifinalist stage for the first of four straight years in 2008 and then became a finalist for the first time in 2012. The Hall of Fame’s induction class will be introduced during the “NFL Honors” show, a two-hour prime-time awards show at 7 p.m. CT on Feb. 1 on FOX. The other finalists this year are K Morten Andersen, RB Jerome Bettis, LB Derrick Brooks, WR Tim Brown, Owner Edward DeBartolo Jr., Coach Tony Dungy, DE Charles Haley, WR Marvin Harrison, T Walter Jones, FS John Lynch, WR Andre Reed, G Will Shields, DE Michael Strahan and DB Aeneas Williams. The two senior nominees are P Ray Guy and DE Claude Humphrey. A linebacker/defensive end for the Rams (1985-92), Steelers (1993-95), Panthers (1996, 1998-99) and 49ers (1997), Greene ranks third on the league’s all-time sack list with 160, behind only Bruce Smith and Reggie White. He recorded 10 double-digit sack seasons and was a five-time Pro Bowl selection. Former Packers coach Mike Holmgren is among 16 first-year eligible modern-era candidates nominated for the Pro Football Hall of Fame Class of 2014. The full list of 126 nominees will be reduced to 25 semifinalists in late November, and then whittled further to 15 finalists announced in January. Holmgren coached the Packers for seven seasons (1992-98), winning three division championships and qualifying for the playoffs six times. He led the Packers to three NFC Championship games and two Super Bowl appearances, winning Super Bowl XXXI. Upon leaving Green Bay, Holmgren went on to coach the Seattle Seahawks to a berth in Super Bowl XL. Other nominees with Packers ties from past years who remain on the list are former GM Ron Wolf, S LeRoy Butler and current OLB coach Kevin Greene. Last year, Greene was one of the 15 finalists but was not elected. For the second straight year, Packers OLB coach Kevin Greene has been named a finalist for the Pro Football Hall of Fame. Greene is one of 15 modern-era finalists to join two senior nominees — one of whom is former Packers LB Dave Robinson — for consideration for election to the Class of 2013 when the selection committee meets the day before the Super Bowl. The selection committee will elect a class of between four and seven members. No more than five can come from the 15 modern-era finalists. A class of six or seven can be achieved if the senior nominees are also chosen. Greene has reached the semifinalist stage since 2008 and was named a finalist for the first time last year. Linebacker/Defensive End … 6-3, 247 … Auburn … 1985-1992 Los Angeles Rams, 1993-95 Pittsburgh Steelers, 1996, 1998-99 Carolina Panthers, 1997 San Francisco 49ers … 15 seasons, 228 games … Selected by Rams in 5th round (113th player overall) in 1985 draft … Played primarily on special teams as rookie, only season he didn’t register a sack … Did not have any starts in second season, but played in all 16 games and managed seven sacks … Added 6.5 sacks in 1987 and by fourth season was bona fide pass rusher for Rams, registering career-high 16.5 sacks, including career-best 4.5 sacks in win over 49ers in season finale that clinched playoff spot for Rams … Following year matched his 16.5 sacks total … Had double-digit sack totals 10 times, second in record book at the time … Only time missed recording 10 sacks in any of last eight seasons was 1995 when he had team-leading nine sacks for Steelers … Named to Pro Bowl five times (once with the Rams, twice with Steelers and Panthers) … Selected first-team All-Pro, 1989 with Rams, 1994 with Pittsburgh and 1996 with Carolina … Captured league sack title twice, 1994 and 1996 … A member of NFL’s All-Decade Team of 1990s … Played in six conference championship games and one Super Bowl … Led team in sacks 11 times and amassed 160 total sacks, third all-time at time of retirement … Also had three safeties, 26 opponent fumble recoveries, and five interceptions … Born July 31, 1962 in New York, New York. Linebacker … 6-3, 245 … Penn State … 1963-1972 Green Bay Packers, 1973-74 Washington Redskins … 12 seasons, 155 games … Selected in 1st round (14th player overall) by Packers in 1963 NFL Draft … Chosen in 3rd round (17th player overall) by San Diego Chargers in AFL Draft … Signed with Green Bay and quickly built reputation as big-play performer on Vince Lombardi-coached Packers dynasty … Started at left outside linebacker in three straight NFL championship wins, 1965-67 … Starting OLB in Packers victories in Super Bowls I and II … Recorded two tackles, five assisted tackles, one fumble recovery and pass defensed in Green Bay’s 33-14 win over Oakland Raiders, Super Bowl II … Rebounded from Achilles tendon injury in 1970 to regain form as one of game’s finest linebackers … Intercepted 27 passes which he returned for 449 yards in career … Lone interception return for touchdown came in first season with Washington … Named All-Pro second-team in 1968 and 1969 … First-team All-NFL selection three straight seasons, 1967-69 … Elected to three Pro Bowls … Named to the NFL’s All-Decade Team of the 1970s … Born May 3, 1941 in Mt. Holly, New Jersey.